The work-in-progress map has added new areas. PlayerUnknown’s Battlegrounds’ newest map is returning for another round of testing tonight, and it comes with a bunch of changes. Not only have a number of new areas been added to the map, but previously existing areas have had their names updated and changed. Abandoned Resort is now Paradise Resort, Manufacturing is now Ha Tinh, and Logging Camp is Tat Mok. In total, four new areas have been added to the map. They are called Cave, Tambang, Lakawi, and Na Kham. Other areas have seen improvements, too, such as Bhan, Ruins, Quarry, Docks, Mongnai, Bootcamp, and Paradise Resort. The map has had an adjustment to item spawn balance, too. Overall, more assault rifles will spawn as the rates for the M16 and AKM has been increased. The M416’s spawn ratio has been slightly decreased. This patch also includes the massive weapon balancing changes from PUBG’s latest update. The controversial “red zone” has seen a couple of changes in this update, as well. 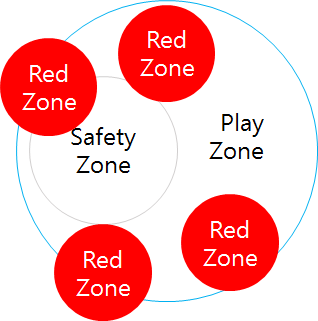 Generally, red zones will no longer appear inside the white circle, with some exceptions being when the blue circle is too close to the white circle. PUBG Corp. says this update will make it more risky to play outside of the safe area. This patch also includes a few bug fixes, but there are a number of known issues that have not been tackled yet as well. 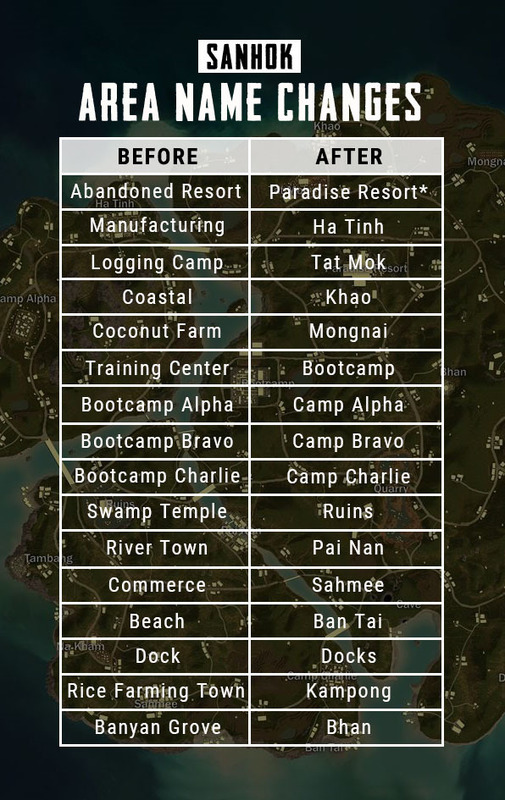 All of the changes can be tested out when the Sanhok test server goes live tonight, May 10, at 9pm CT. The map will be available to play until Monday, May 14, at 6am CT.